Ohhh my. 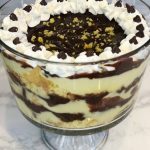 This Boston Cream Pie Trifle is SO good! And it can be made and finished within an hour – who doesn’t love that? Boston Cream Donuts are at the top of my husband’s list when it comes to my dessert recipes, but I try to limit deep-fried desserts to special occasions. I decided I should try to experiment in the kitchen to find a different treat with similar flavors. 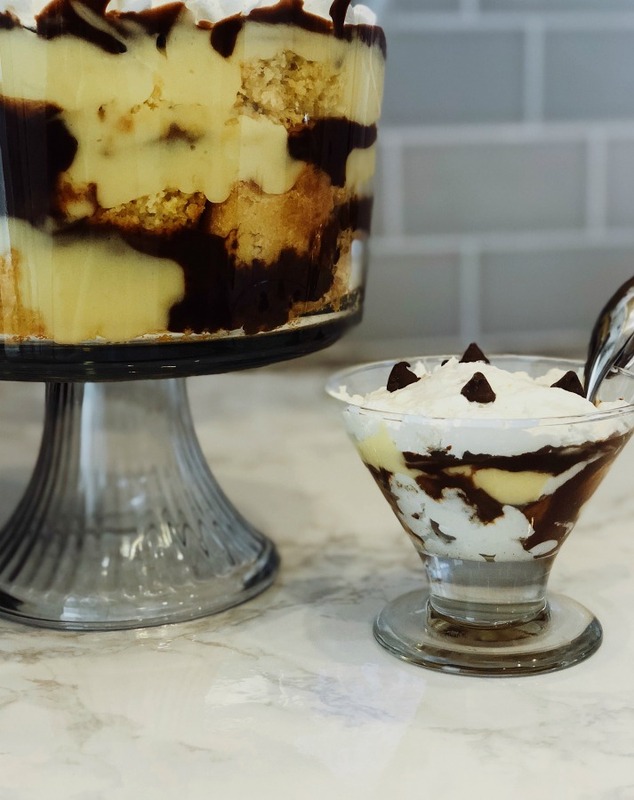 After playing around a little bit, and allowing my son to lick the spoon a lot, I turned those tasty donuts into a super easy Boston Cream Pie Trifle with yellow cake and I’m so thankful that I did! My favorite thing about this deconstructed cake is that it looks so elegant and difficult to make, but it doesn’t take much time or effort at all. 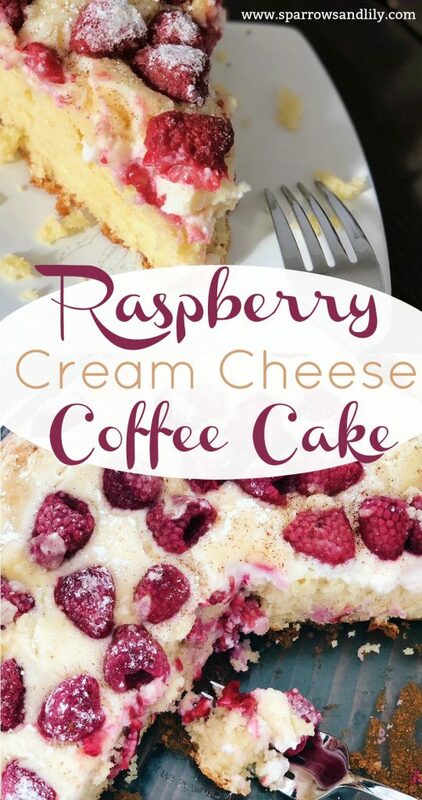 It’s a great option for dinner parties or for friends who just need a little love (and sugar) in their lives! 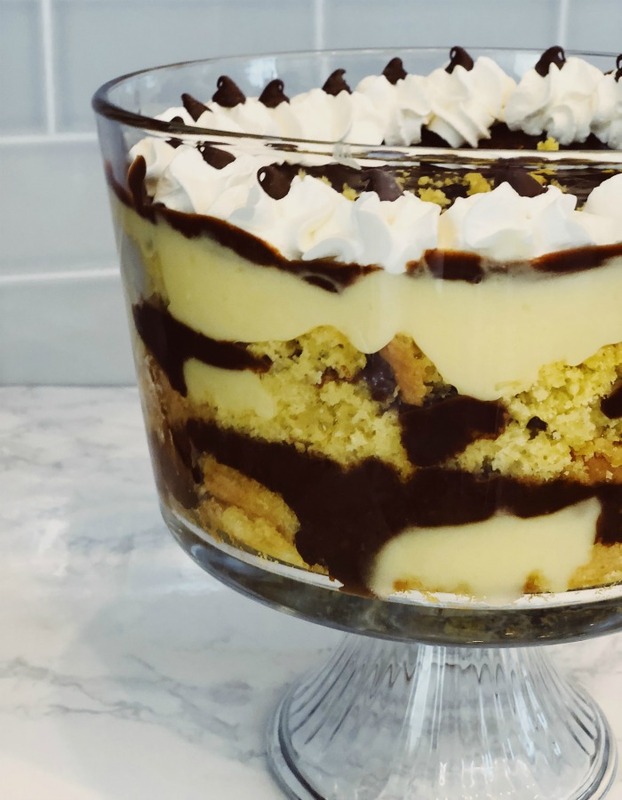 The best part about this Boston Cream Pie Trifle? You really can’t mess it up! 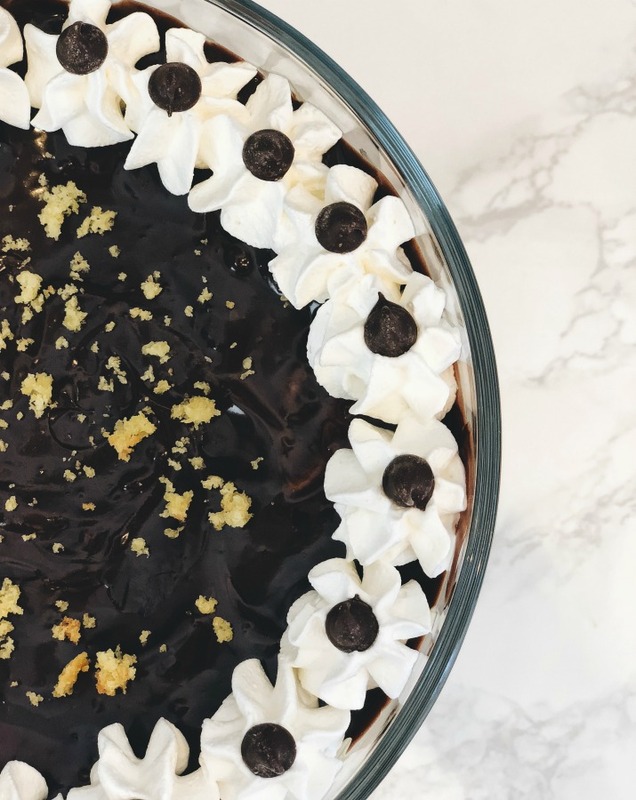 Yellow cake, creamy custard and rich chocolate come together to make a beautiful and decadent dessert that can be ready to go in under an hour! While cake is baking, combine milk and pudding mix and whisk until well blended. Add 1/2 cup of the cool whip and use rubber spatula to fold it into the pudding mixture. Once cake is cooled, cut into small squares. For the chocolate ganache, cook the chocolate chips, heavy cream, and instant coffee in the top of a double boiler over simmering water until smooth and warm, stirring occasionally. Add pinch of sea salt and mix in. Set aside. 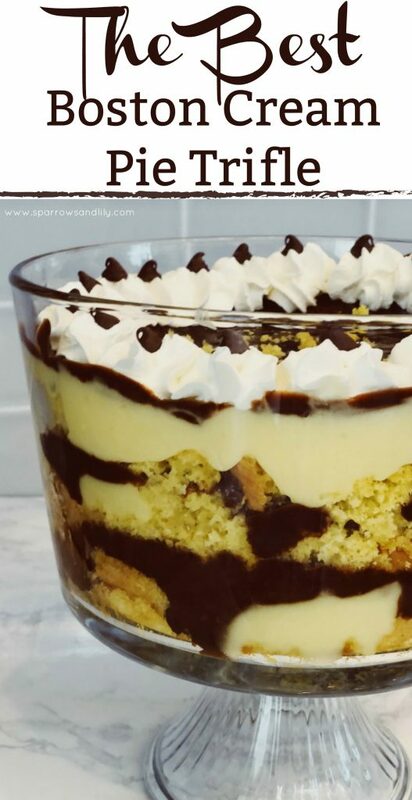 Once all components are prepared, layer ⅓ of the cake squares in the bottom of a trifle bowl. Spoon ⅓ of the pudding over the cake and carefully drizzle ⅓ of the Ganache over the pudding. Use piping bag to create design with Cool Whip or simply spread it evenly over the top of the trifle. How long ahead of time can I make this? Trying to get my timing down for my dinner. You can do the pudding, cream and cake separately about 48 hours prior to your event. However, I would recommend waiting to put it all together until the last minute to prevent the cake from getting soggy! I want to add liquor to this. Would you think rum would be the best choice? And should I sprinkle it on the cake when cooling? The amount of heavy cream seemed to be too much. The ganache was way to liquidy……. I apologize that the ganache was liquidy! I went back to test it and would agree that it was a little too creamy. I have adjusted and edited my ganache recipe and believe you will be much happier with it. 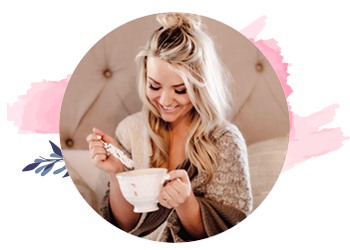 Thanks so much for trying this and for sharing your feedback! Are you sure about the proportion of heavy cream to chocolate in the ganache? Every other recipe I’ve looked at has a 2:1 milk to chocolate ratio. I made mine the way you specified and ended up with soupy chocolate cream. I added more chocolate to it (just threw in all the choc chips I had on hand) and it seems better now. I’m so sorry that this happened! I went back to try this ganache and would agree that it’s a bit too creamy. I have adjusted and edited my ganache recipe and believe you will be much happier with it. Thanks so much for trying this and for sharing your feedback!